In a teaspoon of healthy soil, you can find up to 50,000 species. Thousands of bacteria, fungi, protozoa, nematodes, mites and microarthropods call that soil home. There is more bacteria diversity in that soil than you will find in all the animals of the Amazon basin. This living, drinking, breathing, excreting ecosystem not only harbours all the life living in it, nesting in it, sheltering in it and growing out if it, it acts as a significant carbon sink, absorbing some of the carbon dioxide we poor into the atmosphere. So what happens when we poor waves and waves of chemical fertilizers, herbicides, fungicides and pesticides on it? What happens when you douse a rainforest with Agent Orange? Treating soil like an inert, passive, dead substrate has created soil that is just that – dead, requiring ever-increasing amounts of synthetic chemicals to keep plants alive. And it's not just the soil that is suffering: the heavy use of these chemicals in industrial farming has been blamed for the 'ecological Armageddon' scientists are observing in the insect world. A recent German study found three quarters of flying insects have disappeared. Meanwhile, a quarter of bird species in the United Kingdom have drastically declined, with blame attributed to deforestation, climate change, predators and pesticides. We humans are not getting off scot-free either: various studies have found the weed killer glyphosate in popular foods and drinks, in almost half of Europe's topsoil and in the urine of three quarters of Germans tested, with levels five times higher than the legal limit in drinking water. Five countries have started banning glyphosate amid reports of its possible links to cancer, and now the European Union is considering banning it too. What does that chemical do to us? We don't fully know, but one Australian researcher is calling it the 'new tobacco', with potentially far-reaching impacts on that other fragile, diverse and complex ecosystem we often take for granted: our gut. As we are increasingly learning, our gut, home hundreds of species of bacteria, is the root of much of our physical and mental health and well-being. But don't despair! Charles Massey's new book The Call of the Reed Warbler: a New Agriculture, a New Earth, is a passionate call to action against the kind farming that is wreaking havoc on our natural landscape. Positive and uplifting in tone, Massey takes the reader on a journey through the commercial-scale farms of people who are bravely and pioneering innovative techniques that work with nature, not against nature. Massey has documented the return of vibrant ecosystems, bringing balance and health back to degraded landscapes, land that holds moisture in the soils despite the ravages of drought, insects and animals that form their own natural pest control web, and farmers who are nurturing closer, and happier relationships with nature. While 'urban' and 'rural' are often pitted against each other as opposites, the line between them is arbitrary. Everything is connected. We city slickers have a vital role to play in supporting the kind of sustainable agriculture that our planet desperately needs. Buy organic. People are understandably sceptical about this label as it is hard to tell what has indeed been grown without artificial fertilizers and pesticides. Do some research, seek out reliable brands, labels and shops, have conversations with shop-keepers, farmers at farmers markets and like-minded shoppers. Agitate for tighter labelling laws. Choice has long been campaigning for clearer food labels to depict what is indeed grown in Australia, and for labels that honestly describe free-range eggs. (they've got an app for that). Other countries have banned at least some uses of glyphosate – should Australia join them? Support local organic growers by buying straight from them – at farmers' markets or through food box deliveries. This not only fills your belly with good food, but also supports farmers directly. Don't throw into landfill what your soil could be feasting on: good compost and vermicompost. Our global food system, from clearing forests to growing food, to fertilizer manufacturing, to food storage and packaging, is responsible for up to one-third of all human-caused greenhouse-gas emissions. Lighten your carbon footprint by buying local and buying without packaging. 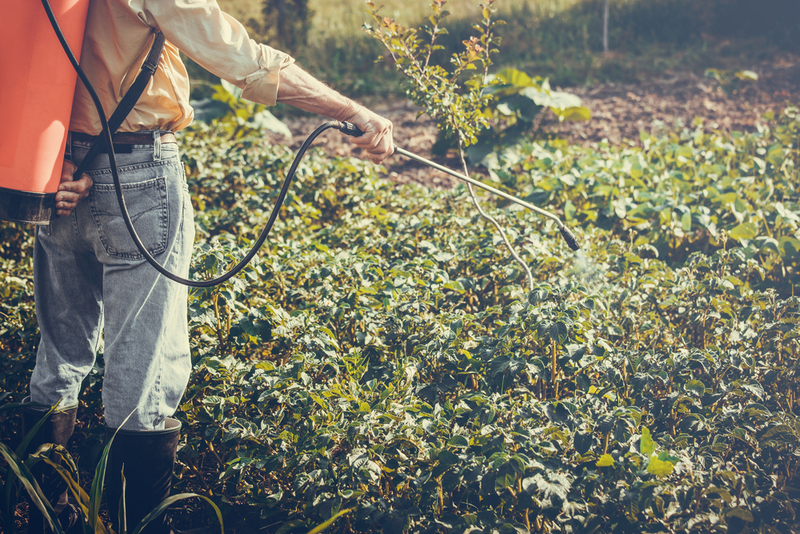 Last but not least: don't use synthetic chemical fertilizers, herbicides, and pesticides! Do you have any tips on where to get organic and local produce in your area? Leave your tips in the comments below. Alex Lamb is taking a year off from working in Australia's international aid program to look after her baby while volunteering her efforts to secure a cleaner planet and safer climate for all. WE ARE WOMEN AND GIRLS FROM EVERY CORNER OF THE PLANET BUILDING A LIFESTYLE REVOLUTION TO FIGHT THE CLIMATE CRISIS. WILL YOU JOIN THE MOVEMENT?